Keep food or water clean with this plastic cage cup. Built-in hooks clip to hutch or coop. 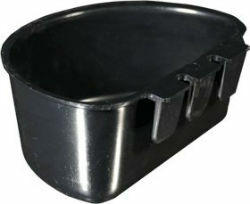 Works great for poultry and small animals.